Vodafone is one of the biggest broadband providers in New Zealand. Together with Spark Broadband, Vodafone Broadband serve over 70% of the broadband connections in New Zealand. As one of the largest broadband providers in the country, Vodafone offer a number of different plans with a variety of features and benefits for different customer types. 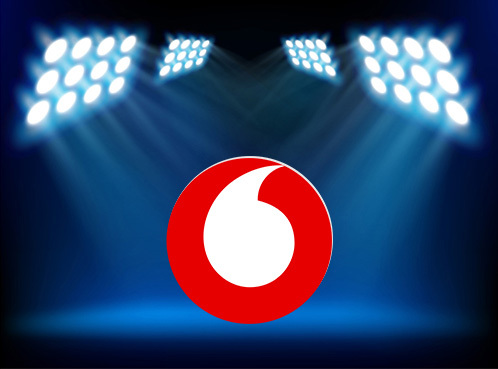 Here in the third of our SPOTLIGHT series we have outlined some of the key Vodafone features and benefits below and we highlight a couple of great deals that are currently available (January 2018) for a limited time. Vodafone Broadband should be very high in the consideration set of any of you who are currently Vodafone mobile customers as they offer a great, additional discount of $10 per month for customers on eligible On Account mobile plans. But whether you are a Vodafone customer or not, Vodafone have some truly great value broadband plans and a great brand reputation – click here for details of all the current Vodafone plans or read on to learn more about Vodafone broadband features and benefits. The Vodafone Always Connected Promise applies to your home, fixed line, broadband connection. If your home broadband stops working, give the Vodafone service team a call and they will do their best to fix it straight away. If they can't, the Customer Care agent you are speaking with will add enough mobile data to an eligible Vodafone mobile, so everyone in your house stays connected while they get it sorted. Great stuff and it means that if, in the unlikely event of it happening, your Vodafone home broadband does fall out… you won’t feel like you have lost an arm as you can still get online - phew! Vodafone Mobile customers get fantastic discounts on their Vodafone Broadband when bundling up their On Account Mobile. Saving an extra $120 a year on eligible plans. This makes some of the Vodafone plans incredibly competitive on their pricing. As a Vodafone Broadband customer you will receive the Vodafone Fantastic Fridays offers and discounts. These discounts allow you to get rewarded any day of the week with discounts like cheap movie tickets, music and sports tickets and a whole lot more. It’s Vodafone saying thanks for being a Vodafone customer. Vodafone Ninjas are masters of tech and as a Vodafone customer you can talk to their Ninjas in store, online or over the phone. They're ace at answering questions and walking you through tricky tech stuff. It doesn’t even have to be directly related to your broadband connection. In 2017 the average Kiwi household was consuming over 150Gb of data a month and so for most homes there is little point in considering a capped data plan. Vodafone Broadband offer a large number of unlimited data broadband plans. Compare unlimited data Vodafone plans here. Vodafone offer two plans for the lower level data user, these are perfect for single households or households that are not occupied all the time, for example down at the holiday home. These plans come in two sizes of 40GB and 100GB and are worth considering if you don’t stream or download large files as they are a good chunk cheaper than unlimited plans. Vodafone have a wide range of different Rural Broadband Solutions under the Vodafone Rural Connect brand and they have made a commitment to rural New Zealand through the provision of a dedicated 4G network. Vodafone have been making huge improvements to Rural Broadband & mobile services right across New Zealand and you may be surprised what you can now get in a rural area. Vodafone FibreX – What is it? Where is it available? Vodafone FibreX is a cable broadband offering, exclusive to Vodafone that is available to customers in Wellington and Christchurch. FibreX can offer speeds and performance very similar to Fibre Broadband and should be considered if you live in a Vodafone FibreX cabled area as it is a very good alternative to getting ultrafast internet through the newer UFB network. Vodafone have 4 main broadband plan offerings and offer 4 connection types - FibreX, Fibre, VDSL Broadband and ADSL Broadband. Some of the plans are very competitively priced in the current market, especially if you are a Vodafone Mobile customer. If you are happy to commit to a 12 or 24 month contract plan then you can get unlimited data broadband for $69.99 with the Vodafone Smart Connect plan for Vodafone On Account customers... that is one of the most competive prices in the market at time of writing. With the 3 months free at the start this will work out to $61.24 a month over the course of the two year contract. Great value in anyone's book. Look at Ultimate Home if you value the add ons like NEON (one of our favourite streaming offerings actually!) but as always compare the features and benefits of different plans and read the terms but there really are lots of reasons to consider Vodafone when you are looking for your next broadband plan. Click here to compare Vodafone plans now.